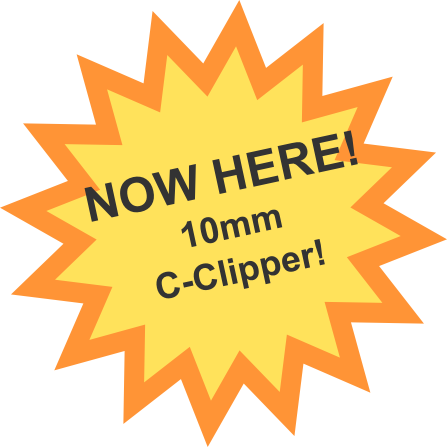 Originating in Bucks County Pennsylvania, BUX Tools, a division of Bacon Machine Company, is a full-function machining facility where the C-Clipper™ was designed and is currently being manufactured. Utilizing the latest CNC equipment, including state–of–the-art machining centers from Fanuc, Hitachi, Omniturn, and Monarch, Bux Tools offers custom “one-of” to high quality production runs. 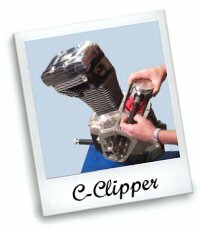 Introduced in early 2004, the C-Clipper™ was originally designed for two stroke engines. Shortly after, due to the growing population of four strokes, a new design was added. Beginning in May, 2005, Bux Tools began shipping the Harley-Davidson version of the C-Clipper™. Read the full announcement here.